A number of residents have contacted me to express concerns about changes they are hearing about at the Burlington Seniors Centre, and seeking clarification of rumours they have heard regarding current activities and the future of the centre. 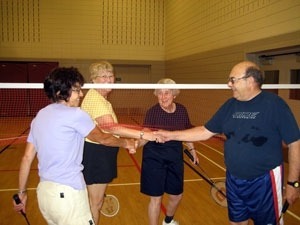 Seniors badminton, one of the many activities available at the Seniors Centre on New Street. 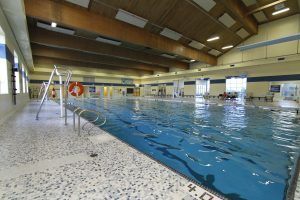 The centre, owned by the city, has a voluntary board of management drawn from the membership of the centre. The city and the board enter into a Memorandum of Understanding (MOU) to outline roles and responsibilities. The board and city are reviewing the MOU to provide clarity on a number of items, including governance structure. The city has identified three areas of concern and has been working with the Board of Management since October 2011 to address these issues. Those issues include governance structure, financial management structure and aligning the Bistro to food management standards. 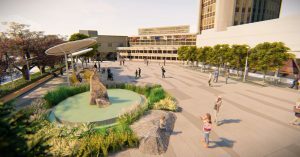 Unfortunately, the discussions around the MOU have generated much concern and rumours including that the centre will be closed and sold for development. Recently, the board and the city issued a joint communique to outline the discussions underway and dispel some of the rumours circulating, available here. My take: I understand the discussion around the MOU has been confusing and upsetting, and regret the disruption it has caused to the board and the membership of the seniors centre. I know the board and city staff are working together to finalize the MOU so that everyone can get back to the key business of the centre: serving our seniors.